The “Sino-German Crop Production and Agrotechnology Park”, is a Private Public Partnership Project, financed under the Economic Cooperation Programme of the German Ministry of Food and Agriculture (BMEL). The project is implemented by AFC in close cooperation with its long-standing partner, DLG International, providing assistance to the project team through their office in Beijing. 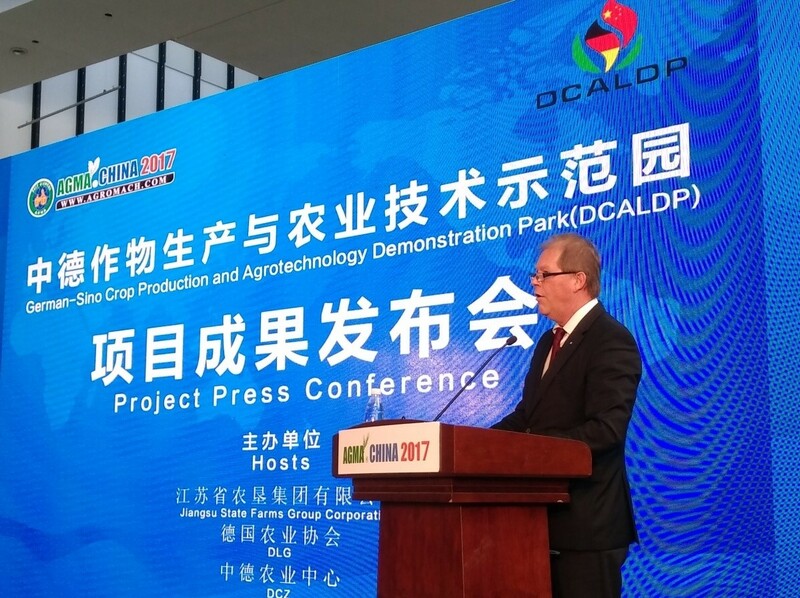 The first Project Press Conference of German-Sino Crop Production and Agrotechnology Demonstration Park (DCALDP) took place on the afternoon of April 13th 2017 in Nanjing.